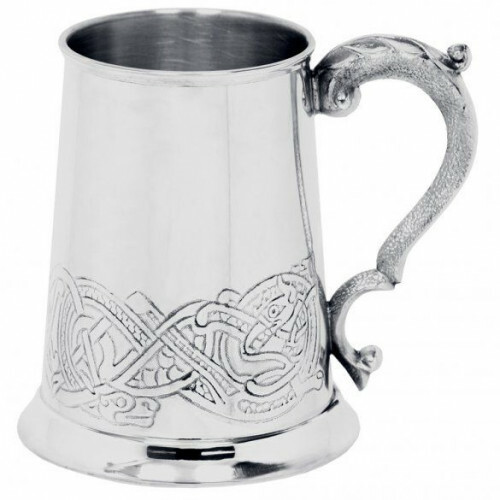 In the modern world where everything seems to be becoming more fleeting and disposable, the very best gifts are those that will last the test of time, like this outstanding one pint pewter tankard from English Pewter Company. 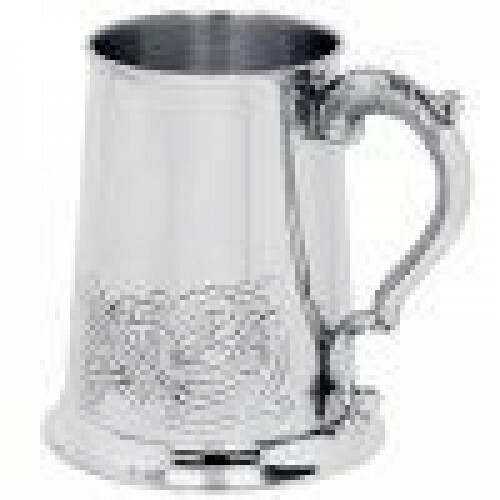 Composed of the highest quality lead free pewter and manufactured by world renowned pewterware experts, this 13cm tall and 8cm wide tankard will not tarnish and in fact tends to improve with age. 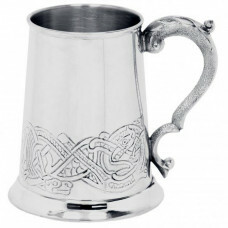 Featuring a curved Georgian handle and intricate Celtic style design which curves around the circumference of the tankard, the CEL137 truly is a striking gift that is suitable for any special occasion.